Prime Minister, Narendra Modi with the President of Russian Federation, Vladimir Putin visiting the Sirius, an incubator for gifted children, in Sochi, Russia on May 21, 2018. With growing global challenges informal summits are becoming the norm in bilateral relations. 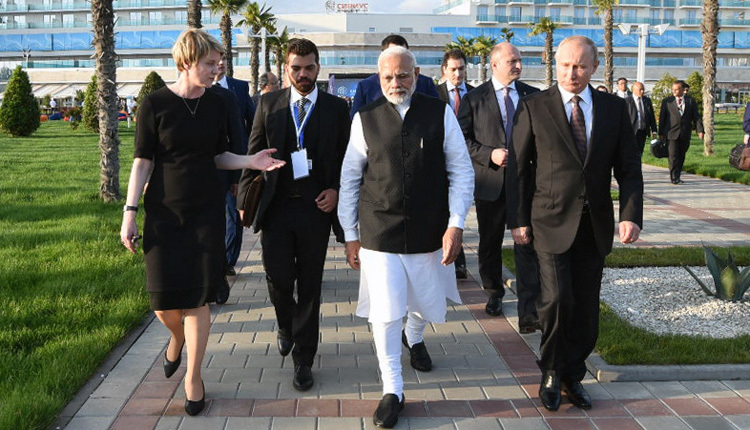 Prime Minister Narendra Modi travelled to Sochi for an informal summit with President Putin. The visit came through post request by India when Foreign Secretary Vijay Gokhale and NSA Ajit Doval visited Russia recently. For Modi, it was a second informal summit after the recent one with President Xi Jinping in Wuhan, while Putin has already had similar summits with the German, French and Japanese heads of state. Interestingly, Modi will meet Putin at the SCO summit in June, later at BRICS summit in South Africa and in Argentina for G-20 summit, while Putin will visit India in October for the annual India-Russia summit. three, Trump is all set to re-impose pre-2015 sanctions on Iran albeit dissent from European nations has delayed imposition. US-China trade war would affect both countries, with fallout on global economy, but as per US bloggers would also adversely affect Trump's own business ventures. Imposition of pre-2015 sanctions on Iran would affect India's Chahbahar port development project. American reminder of CAATSA on was to target India purchasing fiveS-400 Triumf systems from Russia worth about $5.5 billion (Rs 39,000 cr). India had reportedly asked for a US waiver but not received any response despite US Defence Secretary Jim Mattis appealing to US Congress to urgently provide India the waiver, saying not appreciating Indian concerns could adversely impact Indo-US partnership. However, in absence of the US waiver, India has very rightly clarified that its defence purchases won't be dictated by the US. Interestingly, Cara Abercrombie, Carnegie's South Asia Program wrote, "If forced to choose between a robust, well-equipped military and US goodwill, India would likely choose the former". Prime Minister, Narendra Modi with the President of Russian Federation, Vladimir Putin interacting with exceptionally talented young people from all regions of Russia, at a Special monthly camp, during their visit to Sirius, an incubator for gifted children, in Sochi, Russia on May 21, 2018. The S-400 is required by India to counter the emerging air threat. As it is as after the Indo-Russian S-400 deal is signed, delivery of the systems is to begin within 54 months from the date of signing. China is already in the process of acquiring the S-400 also from Russia. Russia's tilt to Pakistan and support to Taliban have been worrying issues in India albeit defence sales to Pakistan are in the backdrop of mounting sanctions that US has been imposing on Russia. But Russia's defence cooperation agreement with Pakistan and closeness to China drove Russian foreign minister call upon India to join the CPEC. Russia also signed the joint declaration of the six-nation conference in December 2017 in Islamabad, asking for resolution of Kashmir issue under the UNSC resolution; which may be viewed acquiescing to Pakistani efforts for internationalizing the Kashmir issue. 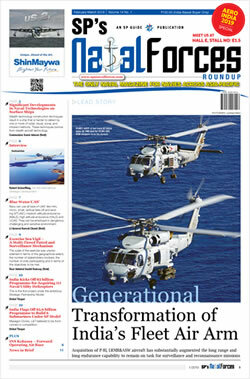 From the Russian viewpoint, perhaps it also looked at India putting all its defence purchases in America's basket. Yet, these are hiccups in the historically strong India-Russian bonds. Russia has been a trustworthy ally always, and its physical action of negating the US and British naval threat to India during the liberation of Bangladesh is historic reality. The emerging global challenges including the widening drift between US-Russia, UK-Russia coupled with the situation in West Asia-Afghanistan, and the China-Pakistan nexus that required invigorating the Indo-Russian relationship – that is what the Sochi summit is all about. 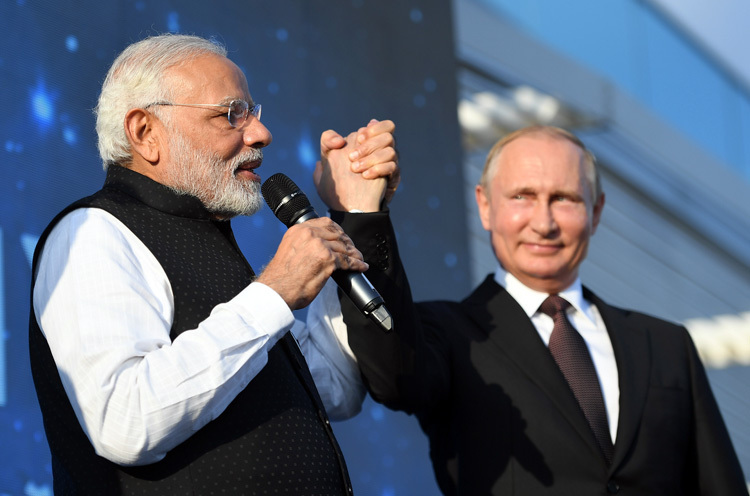 On the eve of his departure, Modi tweeted "Am confident the talks with President Putin will further strengthen the Special and Privileged Strategic Partnership between India and Russia". Informal summits have no agenda but obviously the two leaders would discuss regional and global issues at strategic level including: US withdrawal from Iran nuclear deal; Afghanistan; terrorism (Pakistan? ); West Asia; Koreas; INSTC; China in Indo-Pacific; SCO and BRICS summits; defence cooperation; economy and trade. The aim would be to expand and forge convergence though there will be no issue of joint declaration or joint press briefing by the two leaders. In the meeting, President Putin said Russia and India have been cooperating on several fronts in multilateral and international fora. 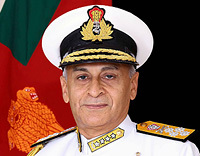 He also mentioned military-to-military cooperation between the two countries and added, "There is no need to explain Russian-Indian relations, since we all know that they have deep roots. However, we have been able to create additional momentum recently.ar." PM Modi says Russia played a major role in helping India get a permanent membership in SCO, adding, "We are working together on the INSTC and and BRICS. "Post the discussions, PM Modi said he had "extremely productive" discussions with President Putin and they reviewed the complete range of India-Russia relations as well as other global subjects during their first ever informal summit in Sochi. Trump's actions of pullout from the Iran Nuclear Deal, preceded by pullout from the Paris Accord maybe his urge to reverse every act of Obama, but it has seriously damaged American reputation of going back on promises, which even has put Trump's European allies at loggerheads with him. While Pakistan and its terror export will remain problematic, India, Russia and China need to work together for success of the International North-South Transportation Corridor (INSTC) which in turn also implies development of Chabahar port as International hub. Modi needed to reset India's relations with Russia; balancing India's relations with both US and Russia. With the US and the West gunning for Russia, Putin too was looking at resetting relations with India. This is what the Sochi Summit has obviously achieved. While the US continues to rely on rhetoric with respect to Pakistan's export of terror, that too biased towards Afghanistan, it needs to realize that its behaviour (CAATSA) included may become directly proportional to its share in the Indian defence sector.